More Tears For Notre Dame's 'Fake Tragedy' Than A Real Girl's Death? : The Two-Way Those who have been pushing for the university to take more action about reports of football players sexually assaulted young women are asking why so much attention was given to the story of star Manti Te'o's fictitious girlfriend. Lizzy Seeberg, in a family photo broadcast by ABC News. The bizarre story of Notre Dame star linebacker Manti Te'o and the girlfriend he now says never existed has exploded on to news sites and TV channels this week. With it has come criticism aimed at the school for what some see as a double standard. Notre Dame is strongly supporting Te'o — school officials say they've investigated and that he's the victim of a hoax. And last fall Notre Dame helped circulate his story about the (apparently fake) girlfriend's death. Critics are drawing contrasts with Te'o's story and how the university and its supporters responded to the 2010 case of a young woman from neighboring St. Mary's College who reported being sexually assaulted by a Notre Dame football player. Ninteen-year-old Lizzy Seeberg, as Washington Post columnist Melinda Henneberger has reported, committed suicide 10 days after telling Notre Dame campus police about what she said happened. 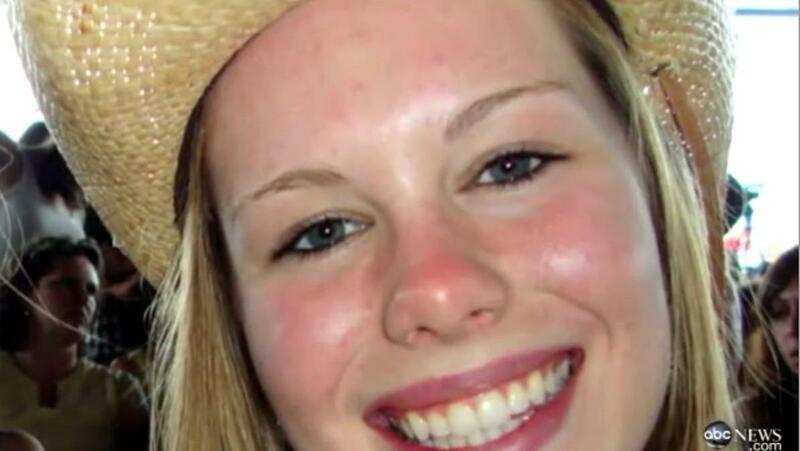 In the days before her death, she had received threatening text messages from a friend of the accused player. But it wasn't until five days after she died, Henneberger has written, that the accused was interviewed. He's never been charged or officially identified. Lizzy's case was followed months later by that of another young woman who said she was sexually assaulted by a player — and according to her parents and her dorm's resident assistant, also received threatening texts afterward. She chose not to file a criminal complaint. Notre Dame's president, Henneberger has reported, declined to meet with Lizzy's family. But other school officials, she says, have been willing to whisper "misleadingly in many ears, mine included, in an attempt to protect the school's brand by smearing a dead 19-year-old." For more on the Lizzy Seeberg case, see Henneberg's story for National Catholic Reporter. Lizzy's family told ABC News in December 2010 that they felt betrayed by the school. Notre Dame said it "kept the Seebergs informed throughout and at the same time honored their request of us to keep this matter private. ... We have great sympathy for a grieving family that may believe our investigation was insufficient, but we also respectfully and wholeheartedly disagree with that contention." The university added that "in cases where there is no evidence to support disciplinary action, our process guards the innocent from unsubstantiated accusations." Now there's the Te'o case and, as Henneberger writes today, a reminder that "my alma mater held the kind of emotional news conference for the fake dead girl they never held for the real one, Lizzy Seeberg." Or, as Salon's Irin Carmon writes, "we've heard more about a fake dead girlfriend of a Notre Dame football player than a real dead girl. ... The handful of people who immediately took note of the contrast in the attention — both by the press and by the university — are absolutely right to be angry." "Because she is much too real."